Did you know that U.S. adults spend an average of 5.5 hours watching video on a daily basis? Online and mobile video consumption is up 60% year-over-year, making it an extremely attractive medium to reach and engage car shoppers. Even in the face of challenges such as trying to figure out standards, optimization and measurement, mobile ad spend is expected to ratchet up in lockstep—upwards of $100 billion worldwide by 2016. But despite the effectiveness of video as a means of reaching and engaging audiences, as a marketing tactic it presents some unique challenges. For example, video doesn’t drive direct response metrics in the way that site visits and phone calls do. That’s because consumers frequently don’t click on video pre-roll ads, even if the ad ultimately influences a purchase decision. As a result, marketers often mistakenly allocate funds away from video, underestimating its integral role as part of a holistic strategy. Much like display, video campaigns provide incremental value outside of standard metrics such as impressions, clicks or views. Here is one example: we worked with a Chrysler Dodge Jeep Ram dealership to ramp up and consistently run their video campaigns from March through July of 2014. We created and optimized video campaigns targeting in-market auto buyers, tested multiple creatives featuring different vehicles, messages, and promotions. 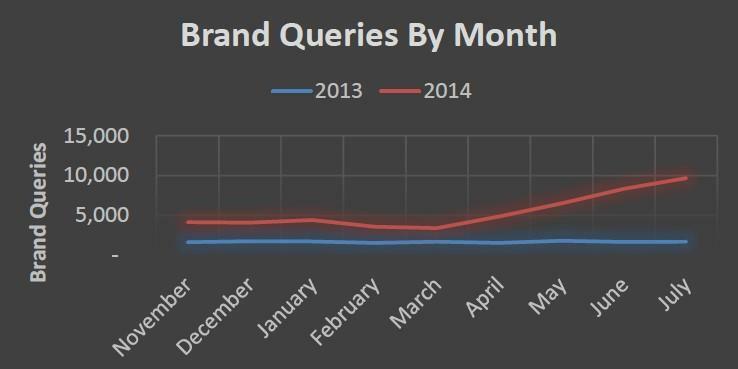 During that time those campaigns delivered over 1.2 million impressions, generated over 726,000 views and saw a lift in search queries for the dealership name by 365%. That means a video campaign drove more people to search for the dealer’s brand name; in other words, the ultimate ROI for the campaign was realized in the search marketing, not the video campaign. That’s a massive value for a campaign that drove both increased awareness and an increase in shopping activity in another channel. Another great example of the power of video as a marketing channel is our recent campaign to drive purchase consideration for Ford vehicles. A Nielsen study measured the effectiveness of video marketing for both Flex and Edge, comparing lift over a control group for each model. The study revealed that the campaign generated 119% lift for Edge and 133% lift for Flex—in answer to the question “Do you intend to buy an Edge/Flex?” This makes a convincing argument for the value of video, especially considering the average lift for the automotive industry is just 9%. It’s evident that running video campaigns, particularly in tandem with paid search and display, can significantly increase dealership brand recognition. We’re starting to see more and more dealer customers wanting to dive into video, and we’re continually levering new ways we can maximize contextual targeting on mobile. With more than 50% of comparison shoppers on mobile, mobile video is the next best channel and medium where you should be looking to improve organic search and convert better leads.